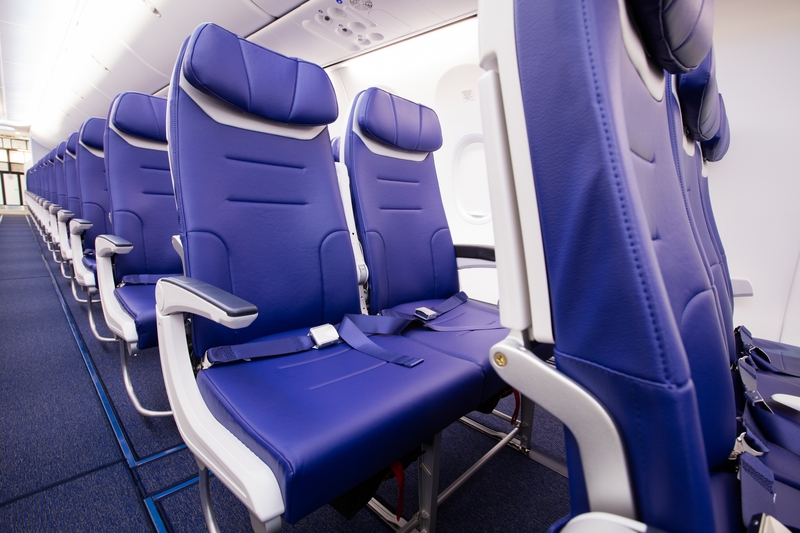 Southwest Airlines introduced a card this past month that includes something we haven’t seen in a card before: complimentary seat upgrades. The Southwest Rapid Rewards Priority Credit Card joined the Rapid Rewards Plus and Rapid Reward Premier cards this past month. For four round-trips a year, those holding this card can board ahead of elite A-List frequent flyers on Southwest. In this review, I’ll break apart the cost of the card, the benefits of the card, and hopefully provide some insight into who this new Southwest Rapid Rewards Priority card makes sense for. Four times per year, Southwest Rapid Rewards Priority Credit Card holders can sit wherever they want on Southwest flights. On top of the unique benefits, Southwest is launching the card with its best-ever introductory points bonus: 65,000 rapid rewards points. New cardholders earn 40,000 Southwest Rapid Rewards points after spending $1,000 in the first three months from account opening and an additional 25,000 points after spending $15,000 within the first year from account opening, totaling a possible haul of 65,000 points. Rapid Rewards points are converted to airfare at set rates, typically about 1.5 cents per point (the exact rate shifts slightly depending on which type of fare the points are applied to). That 65,000 point bonus is worth about $975 toward Southwest flights. The card’s bonus categories includes charges on Southwest and Rapid Rewards hotel and car rental partner purchases, which earn two points per dollar. All other purchases earn one point per dollar. The card comes with a $149 annual fee. The card includes a $75 Southwest travel credit that applies automatically each card year. Because the sign-up bonus for the Southwest Rapid Rewards Priority Credit Card is not as straightforward as is normally the case with most cards, it is worth looking at a pair of spending profiles to see how points earning can shake out over the first year. For Southwest flyers who don’t rack up tens of thousands of dollars per year in charges and already have a credit card strategy in place, keeping the card top of wallet for the first few months to target the $1,000 spending requirement for the initial 40,000 point sign-up bonus may be the best strategy prior to relegating it to the sock drawer. Cardholders falling into this category can come away with a minimum of 41,000 Rapid Rewards points from opening the card, worth about $615. For Southwest flyers who charge a few thousands dollars or so in expenditures to credit cards each month, the equation for whether to go after the additional 25,000 bonus points through $14,000 more in purchases on the Southwest Rapid Rewards Priority Credit Card becomes more complicated. Consider the opportunity cost of foregoing the use of other valuable rewards cards. If over the course of a year this high flyer spends $3,000 on Southwest flights, $12,000 on other travel related costs, $10,000 on dining and an additional $5,000 on everyday non-bonus category expenses, to attain the supplemental 25,000 points, a Southwest Rapid Rewards Priority Credit Card holder would have to eat into at least $9,000 of dining and travel categories on the card that could otherwise be placed onto proprietary bank cards, like the Chase Sapphire Reserve Credit Card, which offers 3 points-per-dollar instead of one. In this example, that spender would forfeit 32,000 Chase Ultimate Rewards points to attain the extra 25,000 Rapid Rewards point bonus. Doing the rough math, cardholders with this expenditure profile could choose between 42,000 Rapid Rewards points or 32,000 Chase Ultimate Rewards points, which transfer 1:1 into Rapid Rewards but also have the flexibility to transfer into eight other airline loyalty programs and four hotel loyalty programs. Southwest Rapid Rewards Priority cardholders can use their card to pay for “Upgraded Boarding” on the day of a flight. These priority slots, A1 through A15, are the first 15 passengers onboard. It’s important to note that Business Select passengers have preeminence over these priority slots, so if Business Select fares are ever sold out (they rarely are), Upgraded Boarding won’t be available. Typically, Southwest sells these Upgraded Boarding slots for between $30 and $50, so this benefit is easily valued at over $120. To secure the upgrade cardholders just buy it with their Priority card. The upgrade charge will be wiped off the statement. What about Fly By Priority? Unfortunately, the Rapid Rewards Priority card doesn’t include access to Priority security screening. For those with TSA PreCheck, this shouldn’t be much of a bother, but it certainly keeps cardholders a step behind Southwest’s A-List elites, at least as far as the airport experience is concerned. This is by no means the most generous elite status boost out there, but for those who put a lot of spending on Southwest cards, there is an opportunity to earn roughly half of the 35,000 tier qualifying points necessary for Southwest A-List status. Priority cardholders earn 1,500 tier qualifying points for every $10,000 spent on the card, up to 15,000 points. That benefit compares poorly to, for instance, Delta’s similar positioned Platinum SkyMiles Credit Card from American Express, which awards 10,000 Medallion Qualifying Miles for every $25,000 spent on the card. Rapid Rewards Premier cardholders can also earn tier qualifying points at the same rate. Most of the other perks on this card aren’t unique, and are available on either the Rapid Rewards Plus or Rapid Rewards Premier card. 7,500 Rapid Rewards Bonus Points at each card anniversary (more than Premier or Plus card). All card spending counts toward Companion Pass qualification. Cardholders earn 2 Rapid Reward points per dollar spent with Southwest Airlines and 1 point per dollar on all other expenditures. Chase, which is sponsoring and co-branding this as well as the other two Southwest Rapid Rewards credit cards, is limiting the number of Southwest cards that an individual can hold at a given time. Those already holding another personal Southwest card (business cards don’t count) cannot sign up for this card. Even without currently holding a Southwest card, those who have earned a sign-up bonus on another Southwest card in the past 24 months are not eligible for the bonus on this card. It is possible to upgrade an existing Southwest card to the priority card. The Points Guy reports that Southwest is targeting some cardholders with a 5,000-point incentive to upgrade, so long as cardholders make a purchase on their upgraded card within a certain period. For those who already have A-list status the current sign-up bonus on the Premier card is actually more attractive. However, for occasional Southwest flyers who want an upgrade, Southwest’s new card is hard to beat. The $75 kickback travel credit, free upgrades and bonus points more than overwhelm the $145 fee on this new card. Headline is 100% clickbait. This card doesn’t upgrade you to anything because Southwest doesn’t offer first class seats. The perk that is described is simply a fee waiver for early boarding on 4 flights annually (similar to checked bag fee waivers offered by other cards). 4 passes to get preferential seating (1-15) is an upgrade on Southwest specifically because they DON’TWetsand have assigned seats. I fly SW a lot and it definitely is a welcome and valuable perk. I’m confused about how the upgrades work; is it four round trip (however many stops) upgrades that are reimbursed, as stated in the second paragraph, or four BOARDINGS (which would mean ONE round trip for one person if there was a stopover in both directions and you upgraded all four boardings)? Since you can’t purchase upgrades until day-of, I’m assuming that at least return flights would be separate fees, and therefore separate reimbursements, counting toward the 4 that are reimbursed? Hi Sandy! Thanks for reading!! Simply purchase the upgraded boarding option with the card, and it will be taken off the statement. Card pays for itself. $75 credit and Annual anniversary points alone pay for the car. No brainer.